March 4, 2018. Insular Life Theater, Muntinlupa City. The cast of Lion King came to watch a production of the Musical Jesus Christ Superstar by Tuloy Foundation. They could not believe "how amateurs could be so professional" and they gave our kids a standing ovation which moved many of the JCS cast to tears. "We did not waste our time coming here. And enjoyed every minute of it." they said. 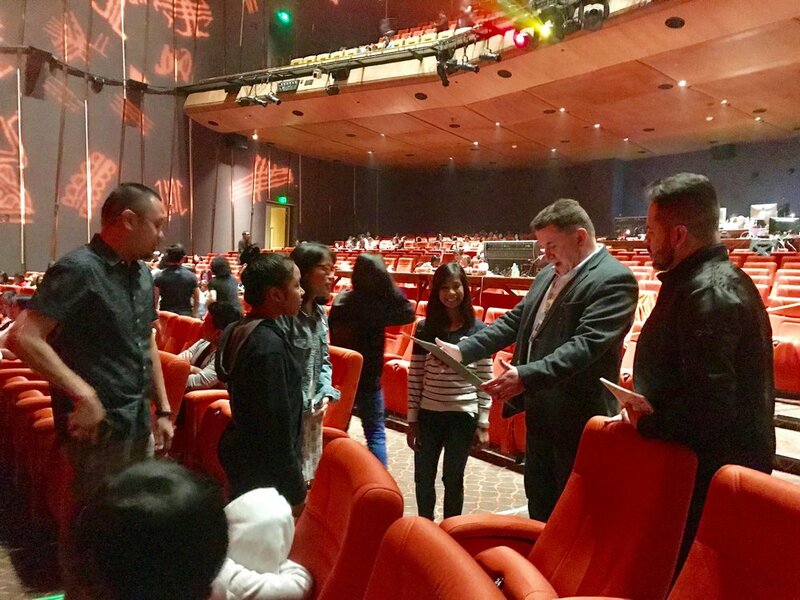 And to express just how happy they were the Cast of Lion King gave free front-seat tickets to our kids and on May 8 the cast would come to Tuloy and give acting/singing/instrumentation workshops to our children. Yes Oh Wow. Miss Joonie Garcia, Tuloy's performing arts director with the director of the Musical Lion King.